245 1 0 %a Investment. 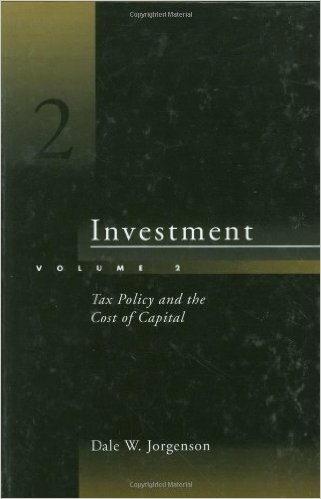 %n T. 2, %p Tax policy and the cost of capital / %c Dale W. Jorgenson. 260 %a Cambridge, MA : %b The MIT Press, %c cop. 1996. 300 %a XXXIV, 468 s. : %b il. ; %c 23 cm.